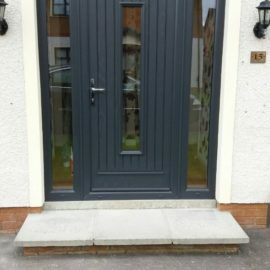 Choosing composite doors in Belfast N.Ireland that suits your specific requirements is a big decision because your door says a lot about you, your home, and your style. 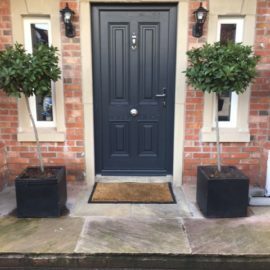 That’s why we’ve developed an extensive range that will satisfy your individual demands and add elegance, sophistication, and style to your home. 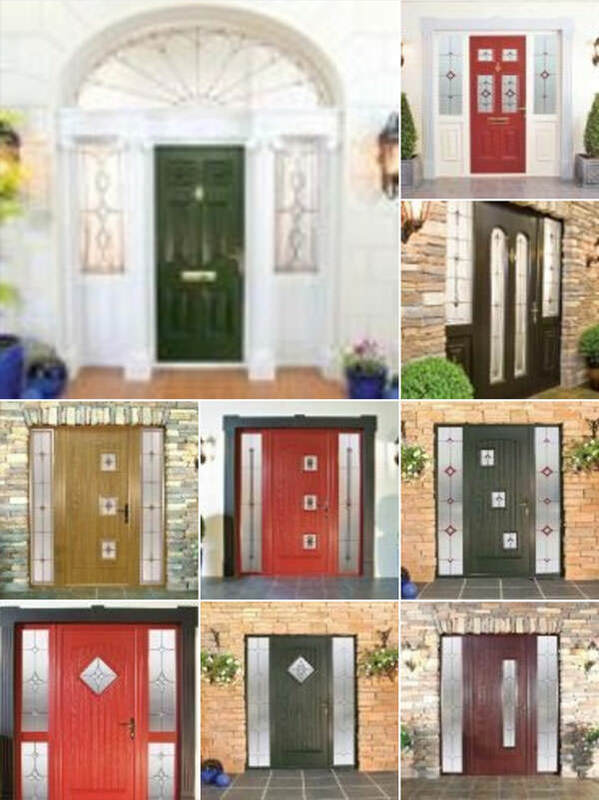 All our beautifully crafted composite front doors are virtually indistinguishable from a traditional timber door. 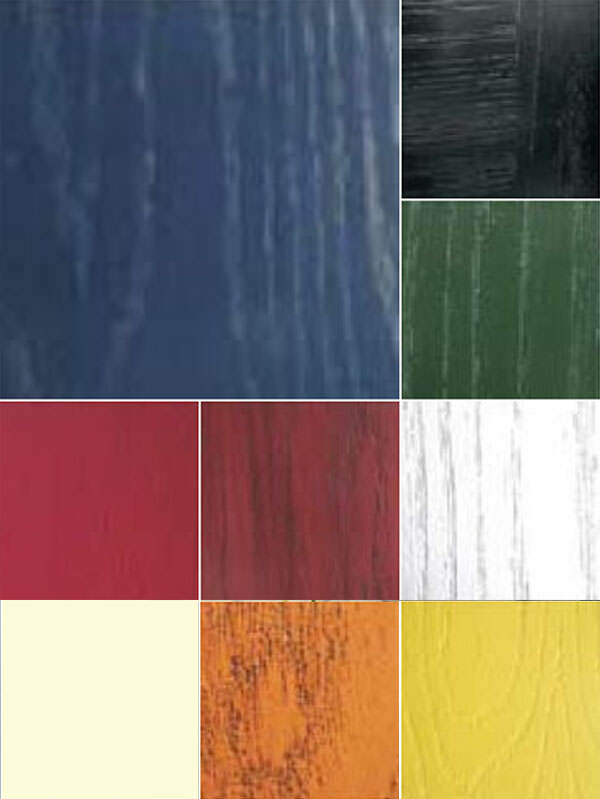 What’s more, they come in a range of different colours to suit all tastes and styles. 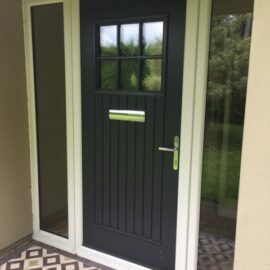 As experts in the manufacture of composite doors, we know that when it comes to choosing a front door for your home, while appearance is critical, so too is energy efficiency and overall performance. 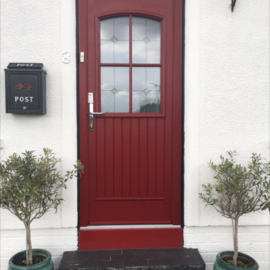 That’s why our composite doors have one of the highest levels of energy efficiency possible for PVC doors (u-value of 0.64 kWh/m²·K). They are also virtually maintenance-free, requiring just an occasional wipe with a damp cloth to restore them to their original pristine condition. 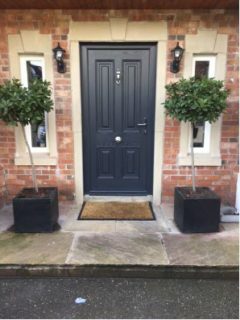 All our doors are fully reinforced with galvanized steel, (which means they cannot warp or bend), and come with great security features including secure stainless steel, multi-point high security locking as standard, with all fittings securely fixed into steel. 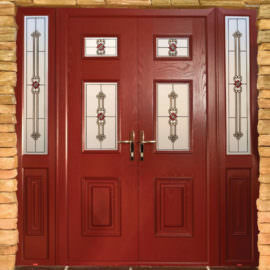 All our composite doors are internally beaded to prevent glass units being removed from the exterior of the property. 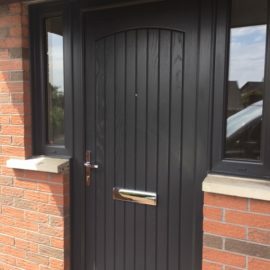 In addition, our composite doors’ unique Monocoque construction provides an unequalled strength- to-weight ratio, and an inbuilt security which is superior to all other doors on the market. 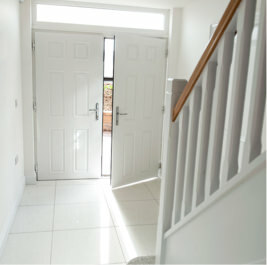 And finally, for added peace of mind we offer an enhanced security option, whereby your window frames will be manufactured under the police preferred ‘Secured By Design’ initiative, a standard aimed at ‘designing out crime’. 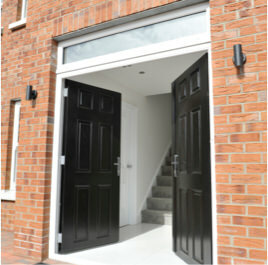 As you would expect with a high quality product such as The Home Design Group composite door, we use only the highest standard of furniture on our frames, including a uniquely designed concealed heavy-duty hinge, high-security multi-point locking mechanisms, and the highest quality handles and letterboxes, offered in a range of colour and style options. 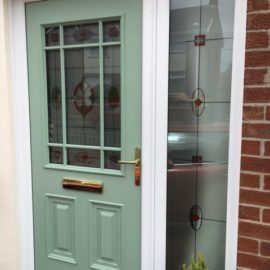 What’s more, we’re so confident about the quality of the products we use that we even provide you with a 10 year guarantee on all hardware. 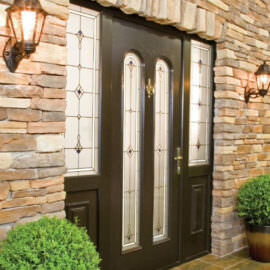 As a result, you have complete peace of mind to know that the front door of your home will continue to perform as brilliantly in the years ahead, as it does right now. 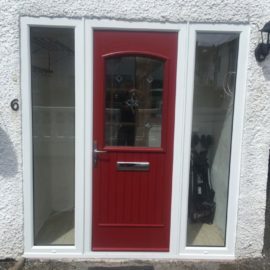 Moreover, allThe Home Design Group composite doors come with a 10 year colour fast guarantee, so you can rest assured that your doors will continue to look just as good in years to come with nothing more than a quick clean with a damp cloth. 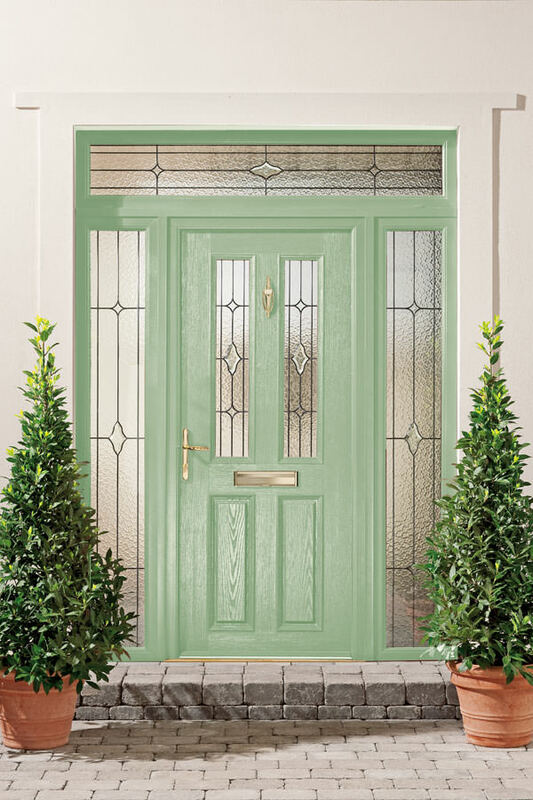 At The Home Design Group we use only high performance A Rated 28mm glazing with Planitherm glass and warm edge glass unit spacer bars, or our premium triple glazing in our composite doors to ensure optimum energy efficiency. 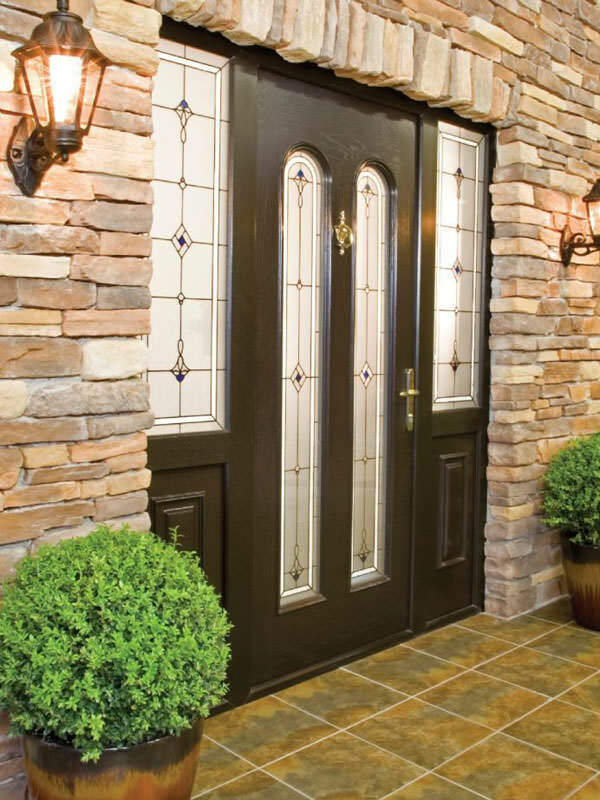 In addition to all of this, we’ll also give you the opportunity to enhance your doors with a variety of decorative glass units. 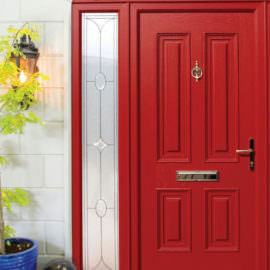 The The Home Design Group composite door is manufactured from 70mm multi-chambered profiles and has one of the highest levels of energy efficiency achievable for any PVC doors with a u-value of 0.64 kWh/m²·K. 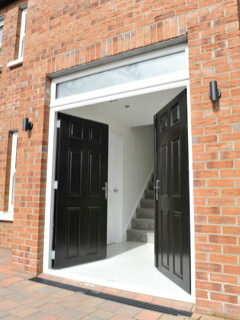 Manufactured to rigorous quality control procedures, The Home Design Group use only optimum efficiency 28mm double glazing units with Planitherm Total + glass, warm edge spacer bars and argon filled cavities, or the highest performance triple glazing units.